The $70 million sale of The Rocket at CBDRobina has gone unconditional, marking Gold Coast City's largest single-title office tower transaction in eight years. 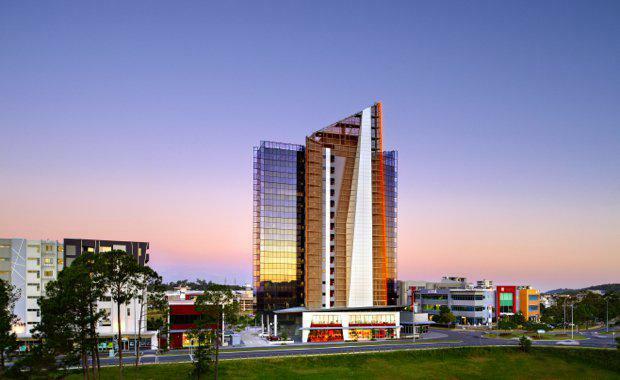 Brisbane-based fund manager Sentinel Property Group and Northern New South Wales based Clarence Property Group have purchased the 16-level tower, developed by The Robina Group, in one line in a 50/50 joint venture partnership. This sale tips the total value of commercial transactions in Robina to over $116 million in the past six months with the Foxtel Building, adjacent to Robina Town Centre, selling for $46 million in April. The Robina Group director Tony Tippett said the company had decided to divest The Rocket after being approached by potential purchasers seeking a blue-chip holding with investment grade yields in Gold Coast City's most sought-after office precinct. "As one of the largest office towers to be developed in Gold Coast City, The Rocket is a landmark project and a highly sought after commercial investment," he said. “Its sale is a major vote of confidence in CBDRobina by two respected property fund managers who have significant, Australia-wide, assets. "CBDRobina has one of the lowest office vacancy rates in the nation at just 4.6 per cent, which is half the national average and well below every capital CBD and Gold Coast City as a whole. "Vacancy rates in Robina have historically remained low and as the newest of only four A-grade office buildings in Gold Coast City, The Rocket is a rare offering in a prime CBD location. "The record sale tips the total value of commercial transactions in Robina to over $150 million during the past 12 months. The signature commercial tower, which was marketed by Mark Witheriff and Tania Moore of Knight Frank, is more than 90 per cent occupied with a mix of high profile tenants on long-term leases. The landmark office building is located at the geographical centre of Gold Coast City, enabling businesses to draw on a catchment area of more than 2 million people between Brisbane and Byron Bay. Fronting Robina Town Centre Drive and Laver Drive, The Rocket is within short walking distance to the Robina Train Station and the health precinct centred on Robina Hospital. The Robina Group has an active workbook of projects, including 500 residential homes as well as a number of commercial projects in the pipeline for release this year. There is currently $1billion worth of investment underway in Robina, which is a combination of Robina Group's development pipeline, developments by other stakeholders as well as ongoing upgrades to existing major infrastructure.